A Flyer is one of the most economical ways to distribute an important announcement or marketing message. Flyers are usually created as a single, unfolded printed sheet that is used to draw attention to an event, business, product, service or idea. The most effective flyers contain a very simple message and a call to action that can be conveyed quickly. 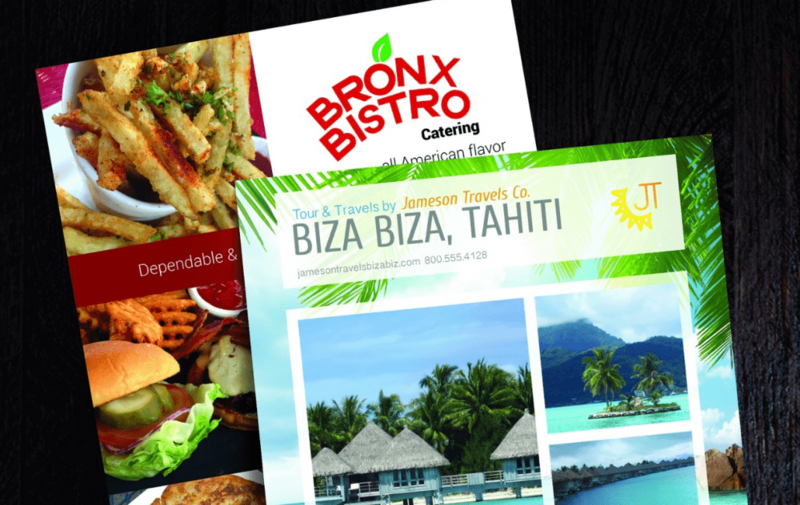 A flyer is generally printed on the 8.5” x 11” paper size to keep its cost low, though flyers can be created in any size that is easy to handle. Also, the printing is most commonly on one side of the paper, though many flyers are printed on both sides. Depending on how the flyer is used, it is sometimes referred to as a handbill, leaflet, insert or circular. Flyers are commonly distributed wherever customers or people may gather or pass by, such as at a trade show or other popular venue. Also, flyers can be folded and tabbed as a self-mailing piece or enclosed in an envelope. Flyers can be printed in any ink color, though full-color printing is the most popular since the purpose of a flyer is to get noticed and read. Compared to a brochure, a flyer usually has a relatively short lifespan, such as being used to announce a one-time event like a grand opening or special promotion. So, the paper used for flyers does not necessarily have to be heavy weight paper. However, a flyer can be printed on thicker paper to make it more durable if it contains information that will be referred to again and again, such as when used as a product spec sheet or sell sheet. Let Formax assist with your next Flyer project, we can print any size or type of Flyer you may need!